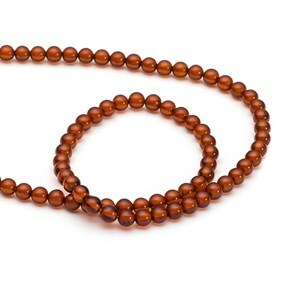 These beautiful Baltic organically included bead strands are beautifully fascinating with inclusions of organic material. Insects and plants have become entombed in the tree resin millions of years ago and over time the resin slowly hardens which has then preserved these organic specimens within. 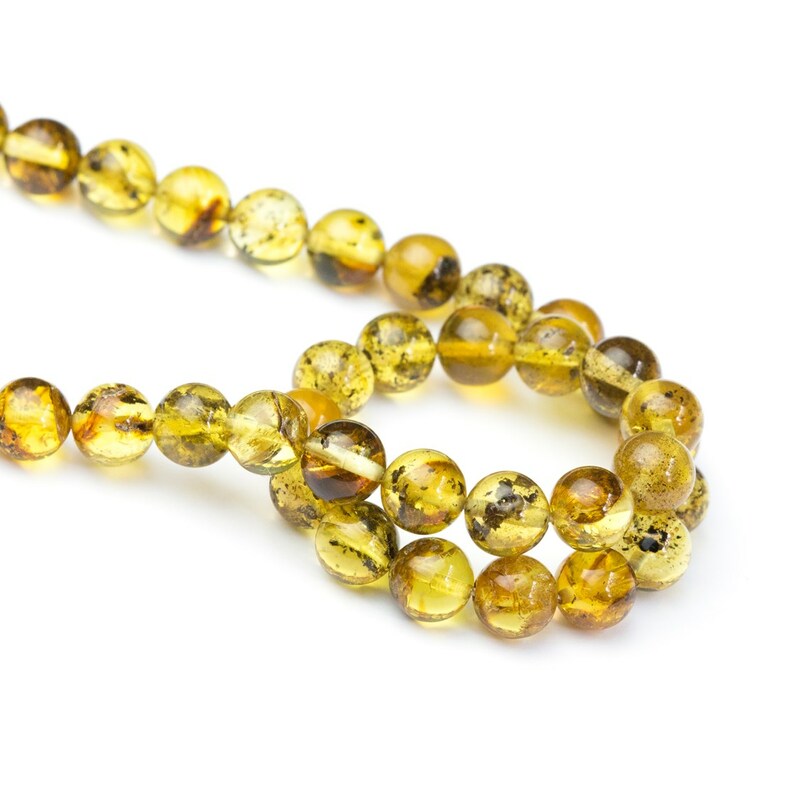 Each strand is totally unique as each bead is slightly different in colour-colours vary from cloudy honey to golden citrine. 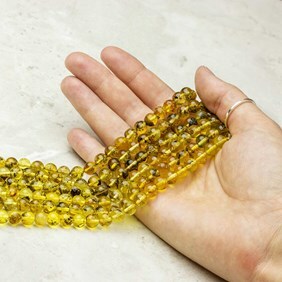 Save 19% on a strand compared to purchasing individual beads.